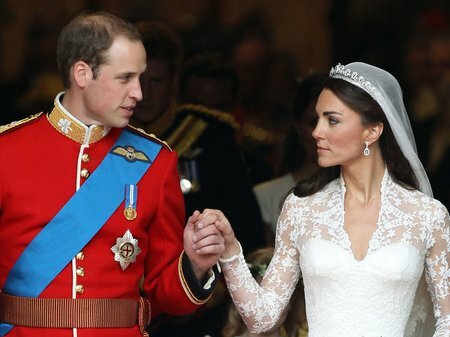 William and Kate are married! Their Royal Highnesses Prince William, Duke of Cambridge and Catherine, Duchess of Cambridge making the journey by carriage procession to Buckingham Palace. Prince William, Duke of Cambridge and Catherine, Duchess of Cambridge arrive at Buckingham Palace after their wedding at Westminster Abbey on April 29, 2011 in London, England.